The US involvement in Syria comes in "two main flavors": one is an overt military operation which aims to defeat Daesh (ISIL/ISIS), while the other is a CIA-led clandestine program to support the Syrian rebels which are seeking to topple Bashar al-Assad. Although US efforts to supply rebels in Syria have repeatedly resulted in American weapons finding their way into the wrong hands, Washington's covert operation in Syria is worth the trouble, US academics Austin Carson and Michael Poznansky believe. "By most accounts, America's efforts to covertly train and supply moderate rebels in Syria aren't going so well… What, then, is the rationale for US policy in Syria? Why has the White House continued to draw on the tool of covert military aid despite its shoddy track record?" Austin Carson of the University of Chicago and Michael Poznansky of the University of Pittsburgh ask in their article for War on the Rocks. According to the scholars, "escalation dynamics" and "unique reputational concerns" lie at the root of the White House's covert operations abroad. The academics explain that the Obama administration's involvement in Syria "comes in two main flavors": the first one is a limited covert operation aimed at toppling Syrian President Bashar al-Assad, while the second is an overt military campaign to defeat Daesh (ISIS/ISIL). "The first rebels trained, funded, and armed by the CIA — a small '50-man cell' of fighters — were reported to have arrived in the fall of 2013, a few months after Obama gave the green light," the scholars narrate, adding that the CIA program was codenamed 'Timber Sycamore'. "The CIA and State Department had begun stepping up their coordination with the Free Syrian Army in March 2012 in furtherance of the US goal of regime change," Hammond wrote. Meanwhile, in 2014 Washington ramped up its support to the so-called moderate Syrian rebels by providing TOW anti-tank guided missiles to them. Soon the CIA-led Timber Sycamore operation was complicated by the need to destroy Daesh, prompting the US government to launch an all-out air campaign first in Iraq and then in Syria against the Islamic extremists. Despite having stepped in overtly in Syria, the Obama administration has not halted its clandestine program. There is clear logic behind it, according to the scholars. "With Russian and American pilots in the skies, keeping the American program against Russia's ally in Damascus low-profile makes US-Russian crisis prevention measures easier," they note. "A second risk driving the Obama administration to act covertly in Syria turns on concerns about preserving America's reputation as a superpower that respects and adheres to international norms and principles… The very nature of what the United States is trying to achieve in Syria — regime change — renders such concerns particularly salient," the academics emphasize. The crux of the matter is that intervening to topple a sovereign government contradicts the non-intervention principle of the founding charter of the United Nations. "As with all things in life, legitimate exceptions to the non-intervention principle do exist. Military action against a sovereign regime in the name of self-defense, also codified in the UN Charter, is an obvious example. Authorization from the UN Security Council is another. The presence of one or more of these fig leaves might make it possible for the United States to act more openly against Assad while still maintaining a reputation for rule-following," they explain. Regardless of the fact that the covert program to train and arm the rebels does not work properly when the US weapons end up on the black market, "systematic evidence about the CIA's success in affecting Assad's thinking, influencing the battlefield, and expressing American interests," show that the operation was worth the trouble, the scholars stress. And still not everything is rosy in the CIA garden. There were reports in late March 2016 that Syrian militants armed by the CIA and the Pentagon had begun to fight each other in the Aleppo region. 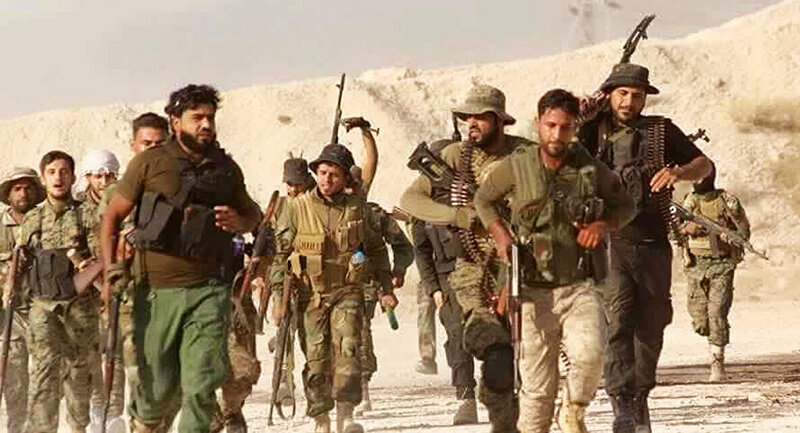 The Los Angeles Times reported that a CIA-backed militia called the Knights of Righteousness was expelled from the town of Marea by the Pentagon-backed Syrian Democratic Forces. Nancy A. Youssef of the Daily Beast wrote in June 2016 that the Pentagon and the CIA have been involved in an embarrassing catfight over Syria. While the Pentagon is focused on defeating Daesh, the CIA is pushing ahead with its effort to topple Bashar al-Assad. The two are funding different groups which regularly clash on the ground. As an apparent result of this infighting, 51 State Department diplomats inked a dissent memo, denouncing the Obama administration for focusing too much on defeating Daesh, and urged the President to attack Bashar al-Assad as soon as possible. Time will show what fruits Timber Sycamore will bear.